A website that writes the story. Responsive integration - HTML, CSS, JS - of the website : www.whatzeteuf.fr, for BNP Paribas. 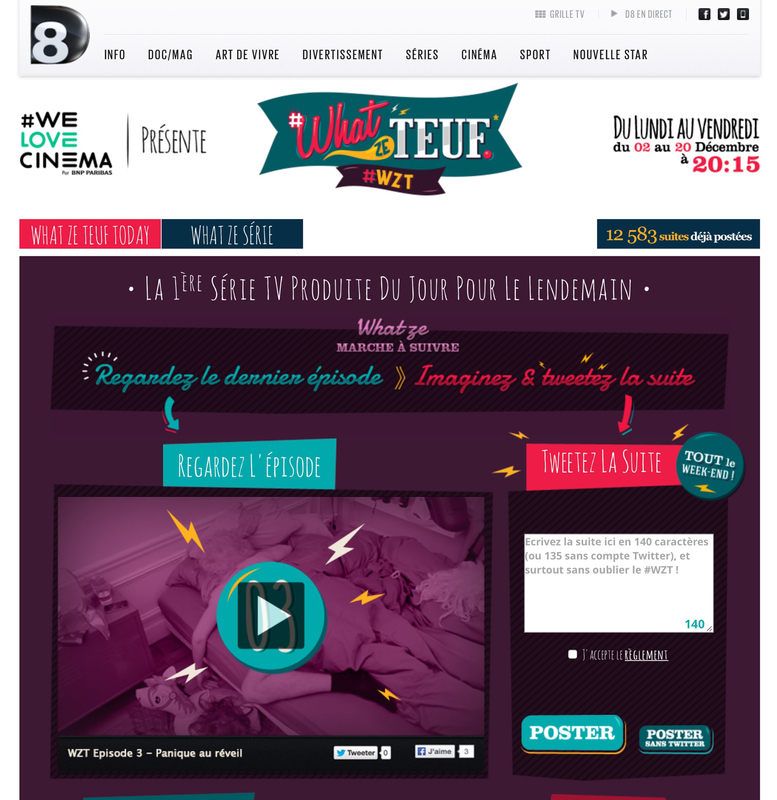 WhatZeTeuf, the first interactive and participative serie produced from one day to the next and whose viewers imagine the rest of the story.